Pam pointed me at an article in the book "The Creative Family" by Amand Blake Soule, called "Art Clips". The basic concept is that it's a bulldog clip, attached to a board of some kind, which you attach to your wall. 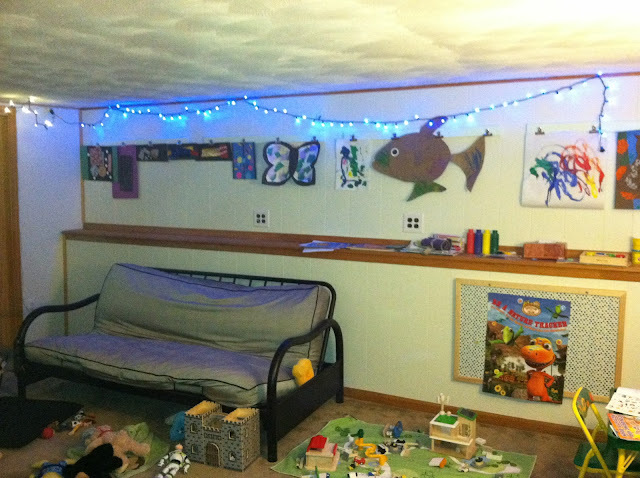 You can then hang up your kid's artwork or whatever from the clips easily. She suggested that we do this for Jasper's playroom, to hang up his works. I checked out the article, and then bought some materials. I decided to make strips, which would be mounted to the wall, each one having bulldog clips mounted on it. I arranged it so that the screws that hold the bulldog clips secure it to the wall through the wood strips, just to simplify things a bit. I bought 1x3 pine stock, some finishing washers, ordered some bulldog clips, and dug out some 1 5/8" drywall screws leftover from another project. The space I needed to fill was approximately 16' and change. 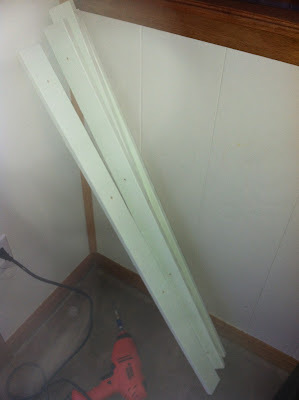 I was going to put in two 8' lengths, but decided instead to do four 3'6" lengths. Each one has four holes, drilled at 3" from the end, then every 12", with a 3" gap on the other end. 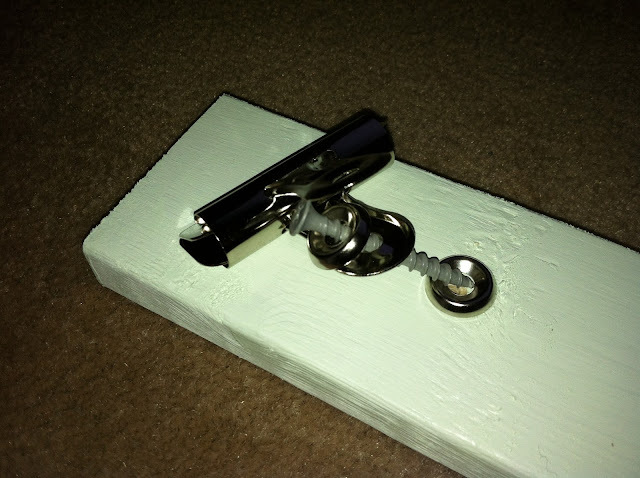 The screw goes through a finishing washer, through the back tab of the bulldog clip, then through another finish washer, just to raise it all off of the board a little. 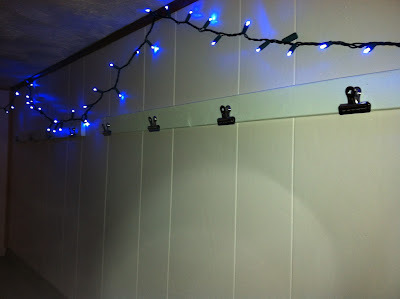 I started the screws into the wood strip, then held it up on the wall 11" down from the ceiling and secured the screws through the wood strip and into the wall behind it. These are all mounted through some old panelling glued to drywall, so it should be ridiculously secure. It also will only be holding up some pieces of paper, so I didn't need to worry about getting anchors or to secure these into studs or anything like that. I mounted the strips with a 6" gap between them, all centered on the wall. This means that each of the binder clips end up 12" apart from each other. Add some art, et voila! We all love the results!